John is New Jersey native and graduated from Yale University in 2011 with a B.A. in Economics. Following a short stint as an Investment Banker, he commissioned from Officer Candidate School in 2013. He is a designated Surface Warfare Officer and was stationed in Norfolk, VA and Yokosuka, Japan for his Division Officer tours. 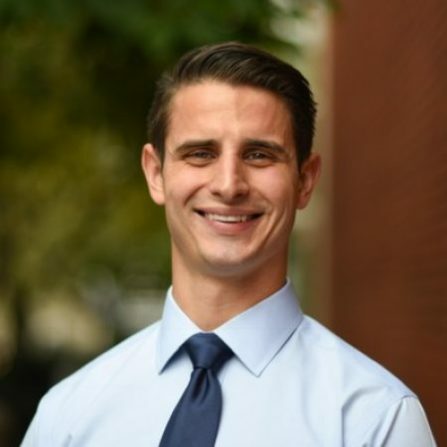 John is currently pursuing a Master in Public Affairs from Princeton University’s Woodrow Wilson School as a Navy Fleet Scholar Education Program fellow.